With Zac Taylor taking over, there’s optimism for change in the way players are developed. In past seasons under Marvin Lewis players often times weren’t given the opportunity many believed they deserved. Players like John Ross and Christian Westerman for reasons unknown to most always seemed to be fighting for a chance to prove their worth. Now, the entire roster will have a clean slate as it begins life under a new coaching staff. 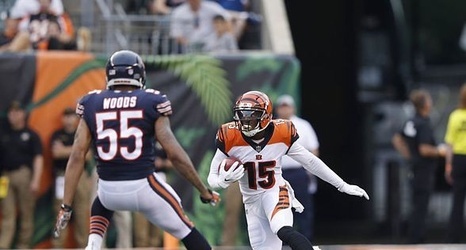 We will take a look at which players need to reach their potential to help the Bengals get back into the AFC Playoff picture. Since being selected 9th overall in the 2017 NFL Draft, Ross’s production hasn’t lived up to that of a top 10 pick.